When you’re on your fourth kid in six years, there really aren’t too many things you need. Especially if it’s your fourth daughter! Dottie has all the handmedowns she could ever need! One thing we ditched right after Edith, however, was the clunky, giant, plastic baby bathtub. It was huge, and a pain to use because I had to bend over the bathtub which meant I ended up with a backache and soaked by the end. So when I discovered the Summer Infant® Clean Rinse™ Baby Bather that grows with baby from birth until sitting. This bather can be used on the counter, in the sink, or in the tub. It features a 3-position recline and folds flat for storage: meaning it’s not a giant nuisance! I have found that bathing on the countertop is so much more convenient. Especially after have a cesarean when it’s far to painful to bend. The bather is designed to allow water to flow easily into the sink and keep countertop dry. As for Dorothie’s review, she loves it! She is starting to coo and kick and smile during baths. I’m pretty sure she makes extra big messes just so she can have a bath! 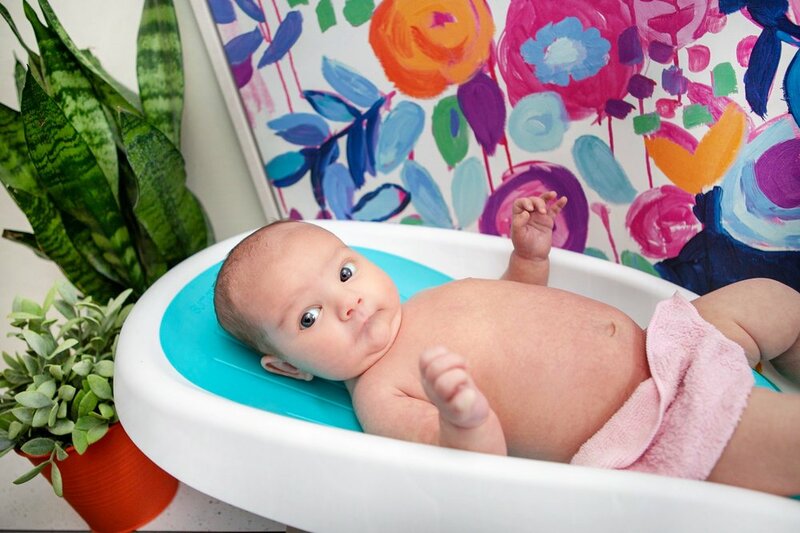 The bath was provided by Summer Infant, however all thoughts and opinions are our own. Do you remember being a kid? When you think about it, do you remember the tv shows you watched, or the time you spent bored sitting around inside? Of course not! If you’re anything like me, your fondest memories from growing up where the ones spent outside. Whether it was in the backyard playing pirates on the swing set or grinding up mush from plants and mud to find a cure for cancer. Or maybe it was family camping trips when hiking turned into a hunt for gold! 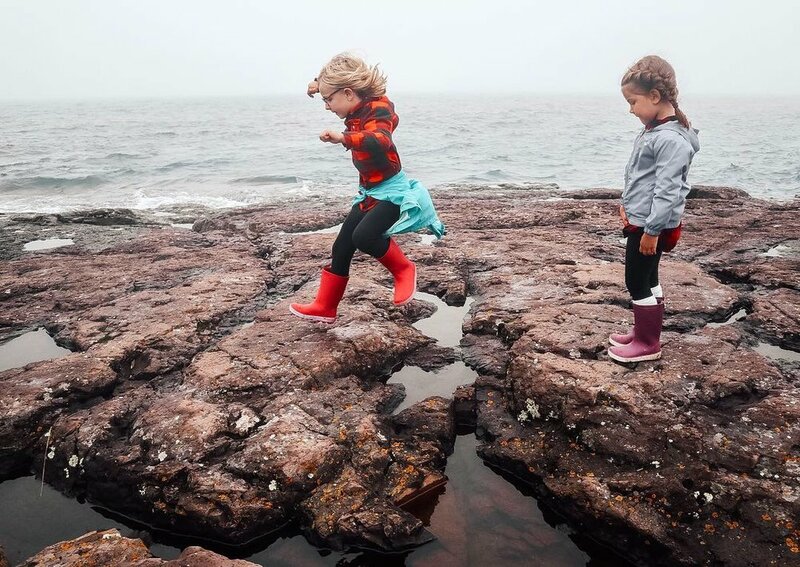 We have been so excited to partner with, Kamik on their Outside Free Play campaign. The #FreeYourPlay movement is Kamik’s invitation to encourage parents to step outside the overcrowded repetition of their family’s daily routine and to rediscover an offline-no-agenda creative balance with their kids! It doesn’t take much to spark the imagination of our girls. Just get them outside with some rocks or sticks and you can see their imagination take flight! Their latest endeavor has been to build a fort in our woods out of sticks and logs. I foresee many tea parties, secret clubhouse meetings, and playing house in their future. And I love that their Kamik boots keep them warm and dry so they can enjoy playing even longer! Disclosure: the boots have been provided by Kamik. But the review and excitement for playing outside has been provided by pure imagination and a love for the outdoors!